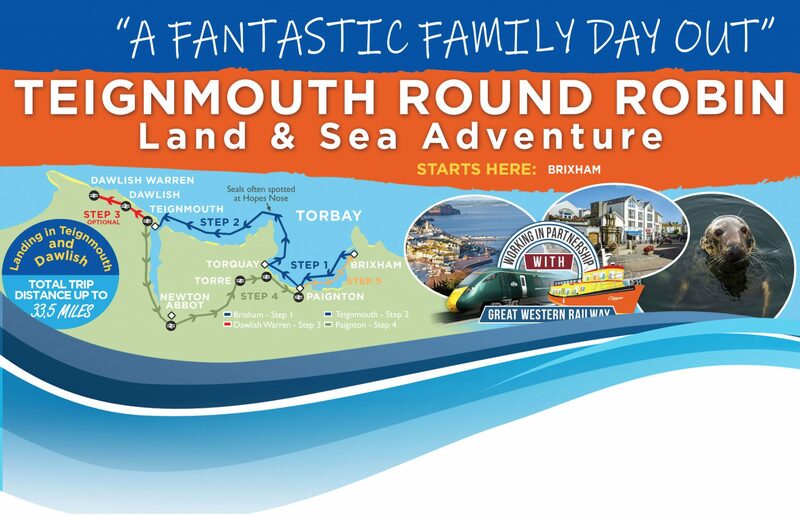 Our brand new day out, full of fabulous fun is now available to join from Brixham Harbour from April 2019. Recommended on TripAdvisor – Brixham’s #1 Attraction 2018. In the Devon Top 10 2019. Fantastic value for money. Starts & Ends at Brixham Harbour. Up to 2.5 Hours landing time in Teignmouth. Easy to book – on this website in a few steps or by calling us on 0800 086 9450. Great chance of spotting local wildlife during the coastal cruise. FULL COMMENTARY provided on board. Bar & Toilets available. Our Railway and Nautical Adventure spans around 33.5 miles! Trip Itinerary – Everything you need to know. Begin your adventure from Brixham Harbour. The boat will sail at 10:30am. Meet at the kiosk at least 20 minutes before sailing time to collect your boat ticket. 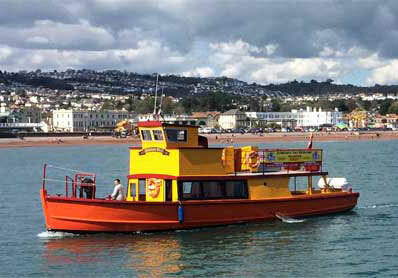 The coastal cruise to Teignmouth takes just over a couple of hours, and we call at Paignton Harbour at 11am and Torquay Harbour at 11:30am to collect other passengers. 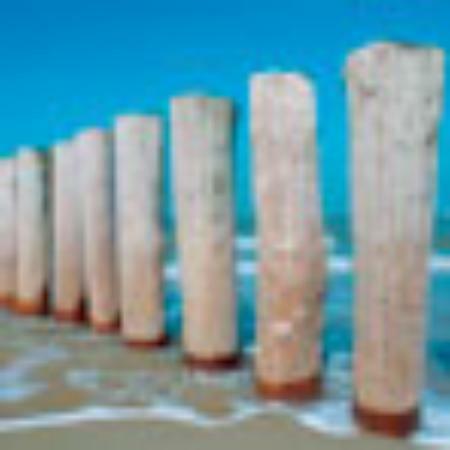 Cruise to Teignmouth – Relax. The cruise to Teignmouth takes us up close and personal to most of the natural sights and wonders on the English Riviera Coast. 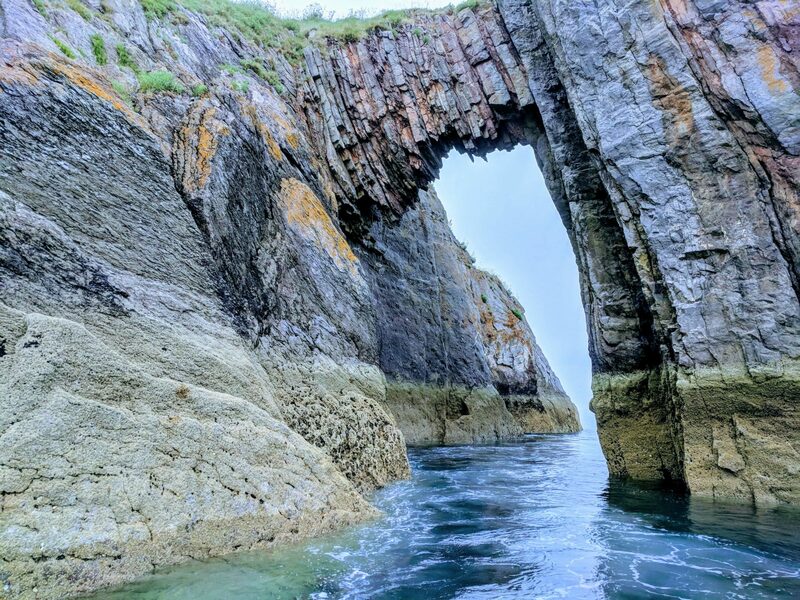 We sail up and out of the Northern side of Torbay into Teignmouth bay, and along the way we pass Hopes Nose, Thatcher Rock & The Orestone – home to many native sea bird species. The skipper will point out spots and places of interest before we soon arrive into the Teignmouth Estuary – into Teignmouth, known locally as the “Gem of the Southwest”. You’ll be hopping off at around 12:45pm. We recommend having lunch here before you make your way to Teignmouth Railway Station – where the second part of your journey begins. 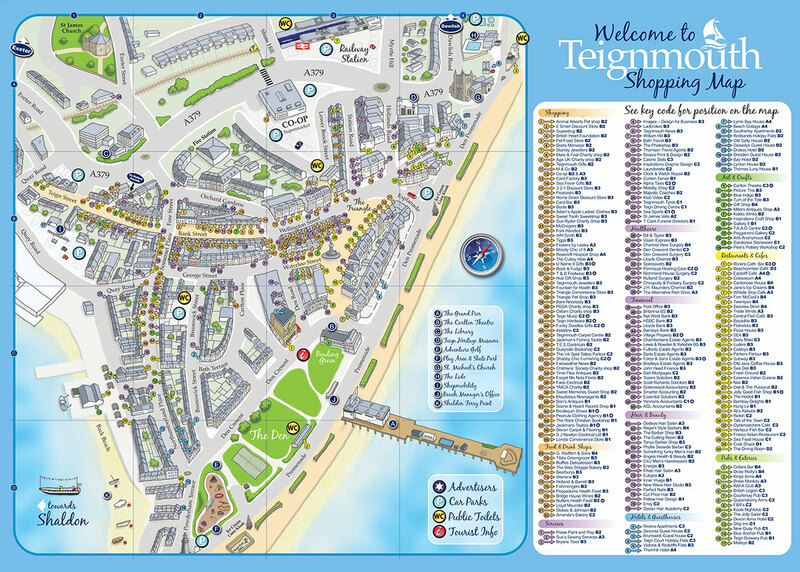 From where the crew drop you off in Teignmouth to the station is a flat walk (about 10 minutes), via the Town. When you’re ready, head to Teignmouth Railway Station to catch any Great Western Railway service from Teignmouth to Paignton (end of the line). 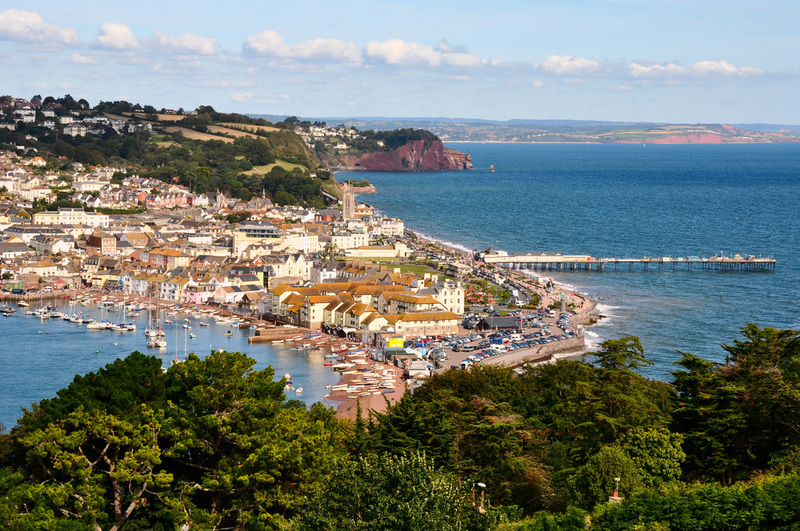 You’ll love the sea & river views of the scenic Riviera Line and after about 25 minutes – you’ll arrive at Paignton Railway Station. Please note: In order to make your final connection back to Brixham Harbour you need to catch the 3:30 (approx) train at the latest! The crew will announce the exact train time on board – as this varies a few minutes from time to time. Not in a rush? 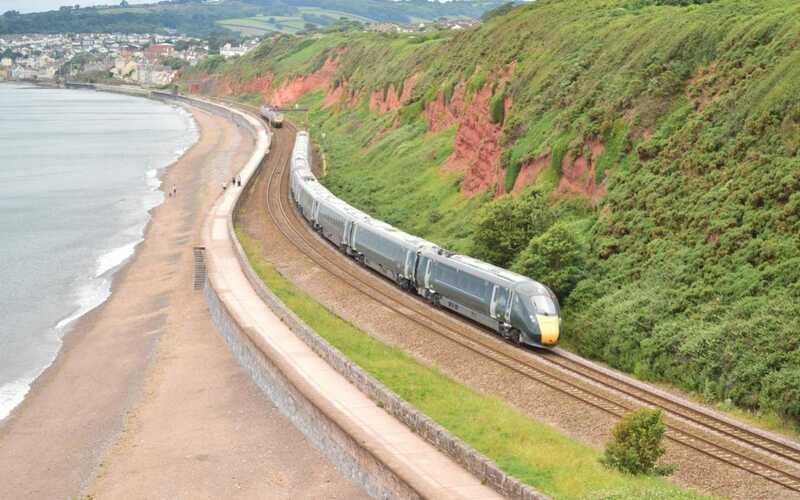 Optionally, you can travel by train from Teignmouth even further to Dawlish or Dawlish Warren for no extra cost – before coming back down the line to Paignton. 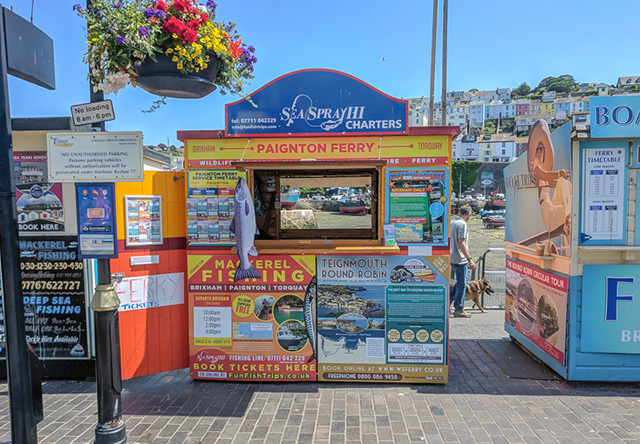 This may mean you will need to find your own way back from Paignton to Brixham later in the day, as our boat connection sails at 4:45pm. You’ll have around 45 minutes in Paignton to stroll to the Harbour (unless you leave Teignmouth early which you are more than welcome to do). It’s only a 10 minute flat wak from the Railway Station; so no need to rush! 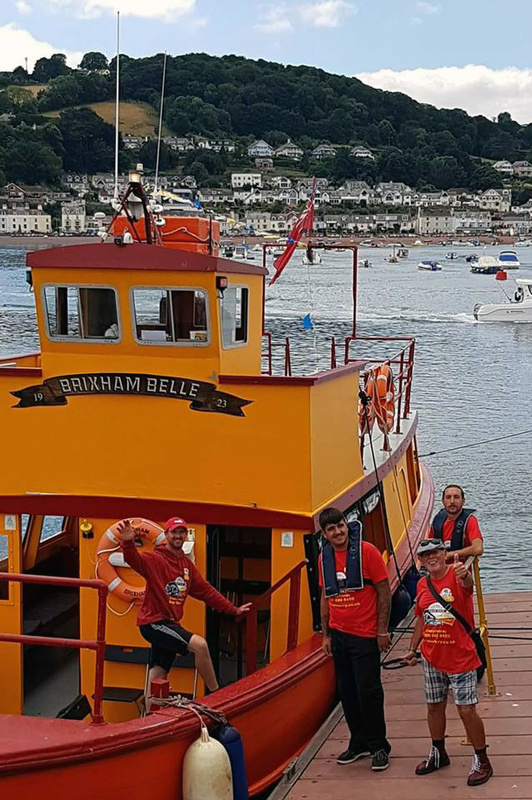 Rejoin the boat at 4:45pm at Paignton Harbour, where the crew will welcome you back aboard for the last hop back to Brixham Harbour. This time we sail past Elberry & Goodrington beaches, Brixham’s Mussel Farm and Fishcombe Cove before arriving back into Brixham at around 5:30 pm. Perfect. Cattle – £30 per Kilo. 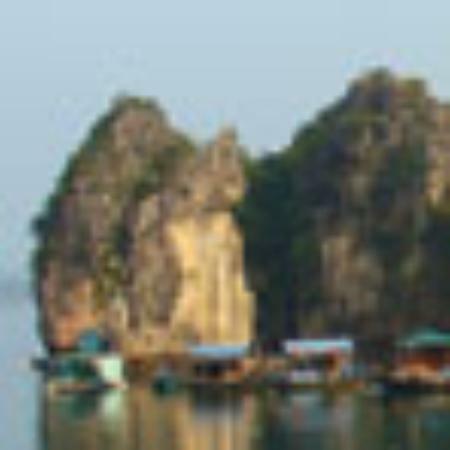 You can book any leg of the coastal cruises separately if you wish to. This can save you money if you currently hold a bus pass or already have a Discount Railcard or Railway Pass. You are more than welcome to plan your own adventure around our timetable. Our current single fare prices are here. We thoroughly enjoyed our trip on the Brixham Belle. It was so interesting being near to the coast line and seeing the rock formations. The crew were very knowable and friendly and you could tell were passionate about the sea.